To qualify for this promotion, you must enter 3X20 in the promo code field at the checkout on Nike.com, and you will receive 20% off when you buy at least three full-priced products. The offer is valid on full-priced merchandise only. Products on markdown are excluded. 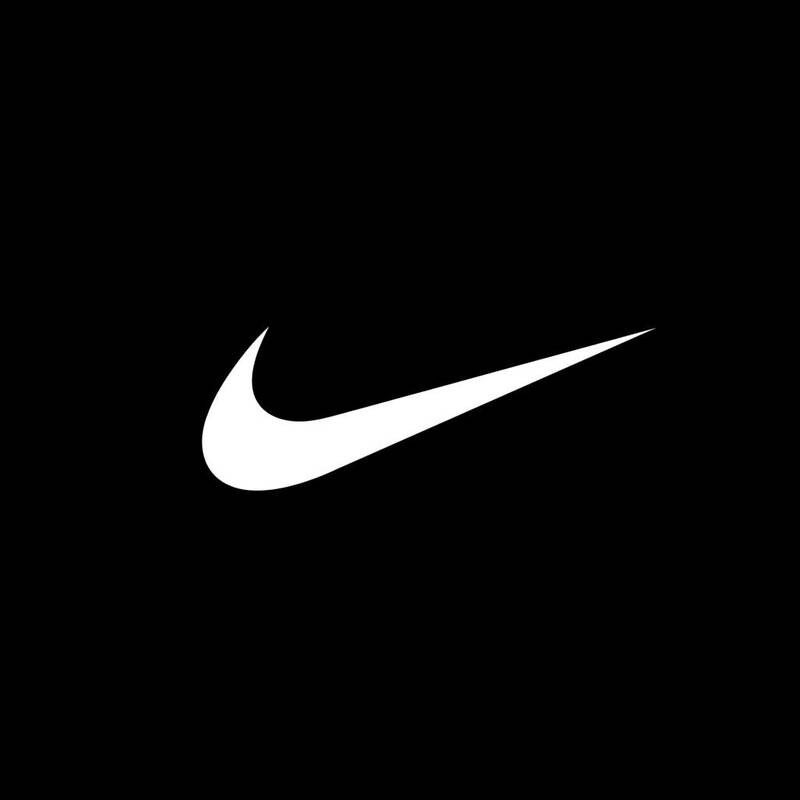 All Nike gift cards, all Apple products, all NikeLab products and some other exclusions apply. For this promo code discount to apply, you must add at least three different full-priced items to your basket. Delivery charges are calculated after the promo code has been applied. This promo code cannot be combined with any other promo codes, and it cannot be used for orders already placed on Nike.com but not yet been dispatched. This promo code can be used for multiple purchases. See here for a list of styles excluded from Nike.com promotions. The discount applies only on Nike.com in the EU, excluding Slovakia, Croatia, Bulgaria and Romania. Offer starts on 01/12/2017 at 00:01 CET and will expire on 14/12/2017 at 23:59 CET. 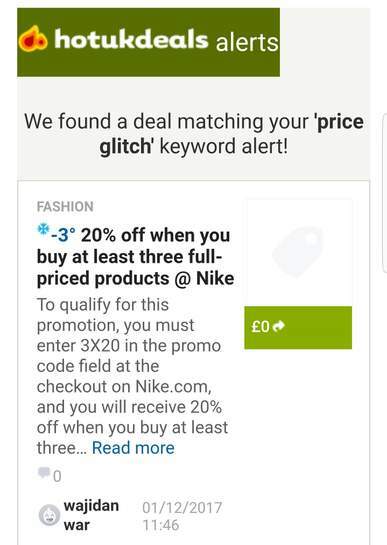 It's a cold UK deal because it's not a glitch it's a voucher. Its not been posted as a glitch. Its been posted as a voucher post. Voucher posting newbie! This is wajidanwar first voucher post. Help out by leaving a posting tip or just to show your appreciation for their contribution.